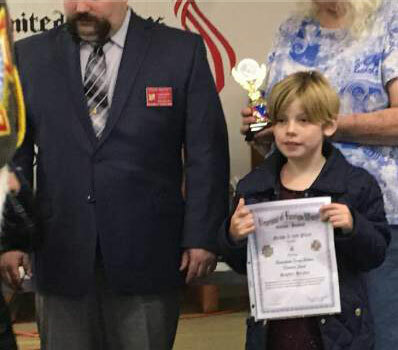 Post 8870 chose Sophia Hradec, a third grader from Machias Elementary School in Snohomish as our Youth Essay winner at her grade level. At the District 1 Awards ceremony in Everett, Sophia was awarded second place in the District Competition. Sophia will be at our January Post meeting with her parents, to present her essay and receive her award from the post. We won’t publish her essay here, in order to not spoil the surprise.